I got a nice announcement from Tassot Apiaries. 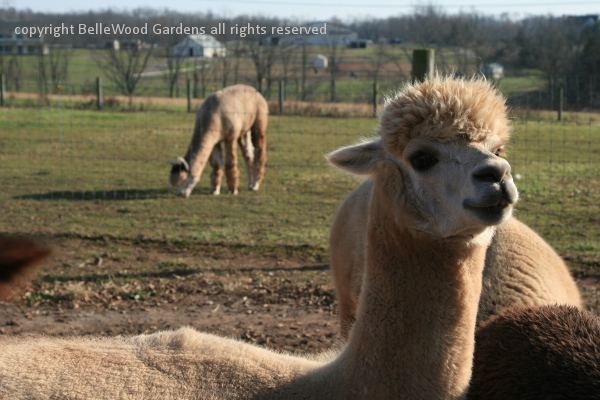 They're having farm tours at Buzzing Bee Acres on Rick Road in Milford, New Jersey on Friday, Saturday, Sunday, 23 - 25 November, from 11:00 a.m. until 4:00 p.m. Visit the alpacas, see the chickens, visit the apiary, and more -cider to drink and cookies to eat. Honey tastings. 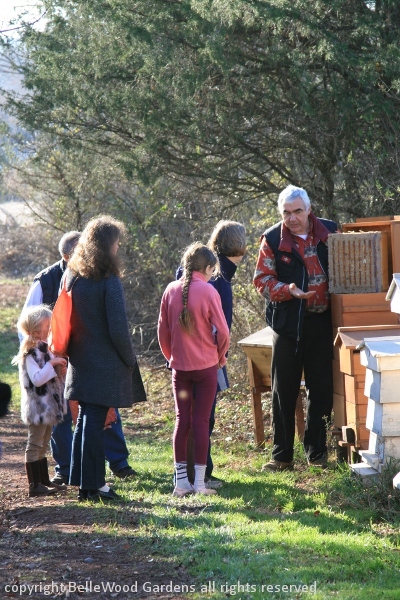 Jean-Claude will lead tours at 11:30 a.m. 1:30 and 3:30 p.m. And their shop filled with jars of honey, beeswax candles, and beeswax soaps offers a great opportunity for Black Friday shopping out in the country rather than squashed in stores. Today, Friday, is sunny and mild. 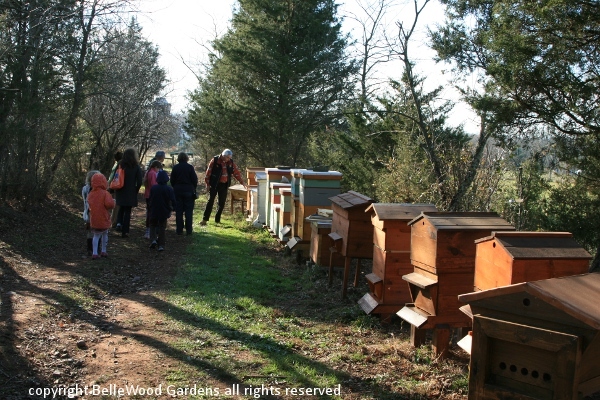 Out to lunch, retrieve a couple of clean and empty dishes from our Thanksgiving hosts, and visit the apiary. Sounds like a plan. 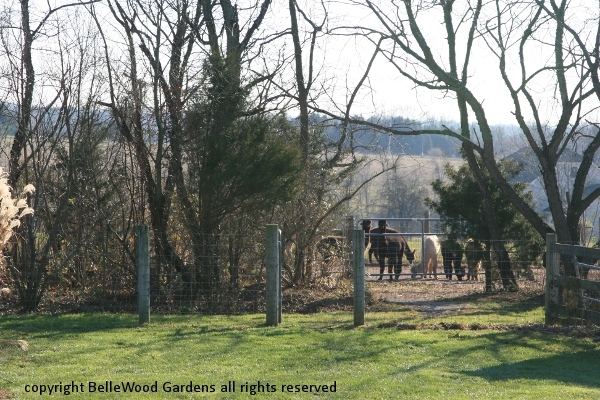 We say hello to Beatrice and Jean-Claude, then stroll across the back yard to the alpacas' paddock. animals. There are several bags of fleece in the house, separately bagged by individual. Do you spin? 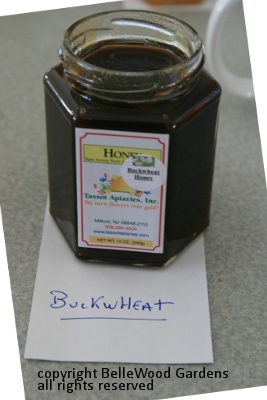 "farms out" beehives in season. These are just a few, so to speak, that he keeps on the home place. 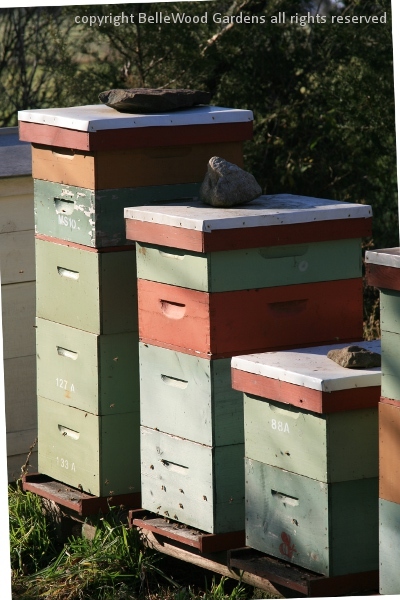 Their diversity is useful for tours such as this, to demonstrate the wide variety and hive development. It's clearly something that captures the attention of today's audience, young and old alike. 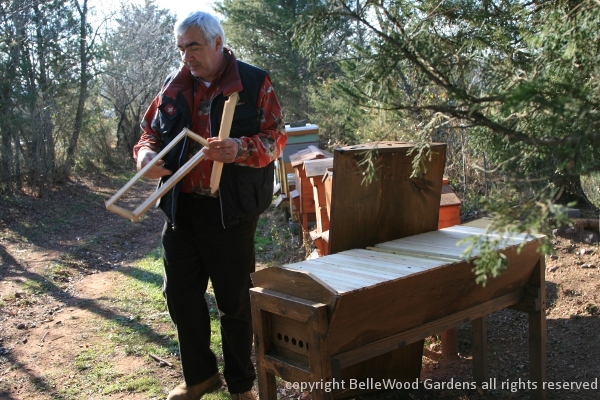 Jean-Claude lifts a frame from a hive and explains how the bees build their comb. 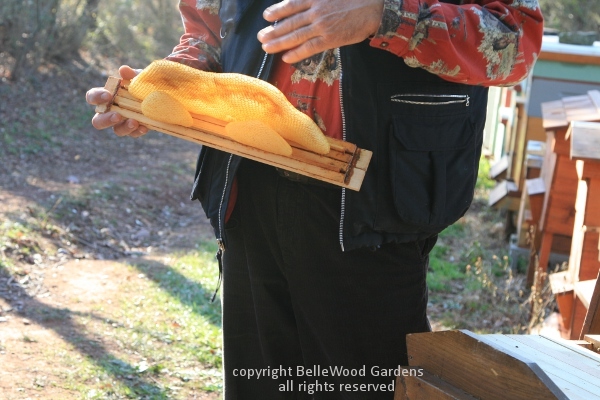 If it is a hive that uses a frame, the comb is neat and tidy, easy to extract the honey. whatever the style of the person who built the hive. There are regional differences too. Fascinating. 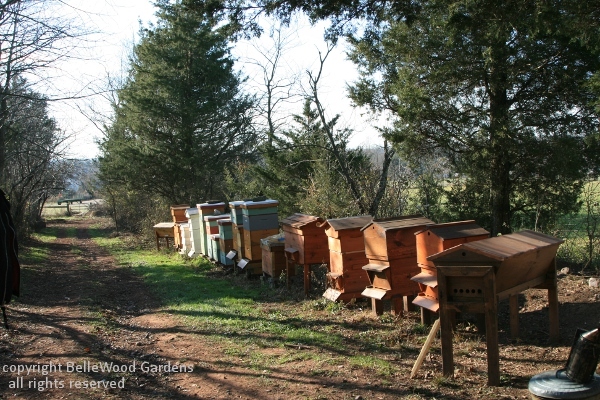 The sunny day and milder temperatures means the bees are minimally active. means there's little or no pollen and nectar available to fly off and collect. But there are a few buzzing around. 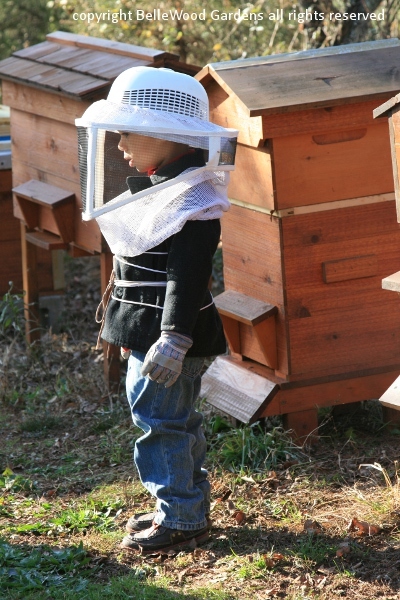 Which made this youngest beekeeper hesitant. A spare helmet with bee proof mesh made him much more comfortable near the hives. 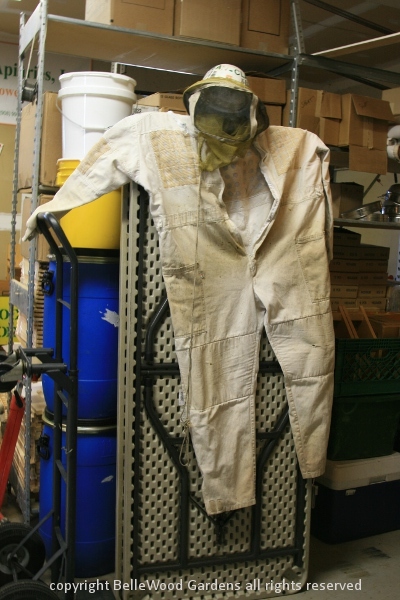 he suits up with more than a helmet to protect against agitated bees aggressively protecting their hive. 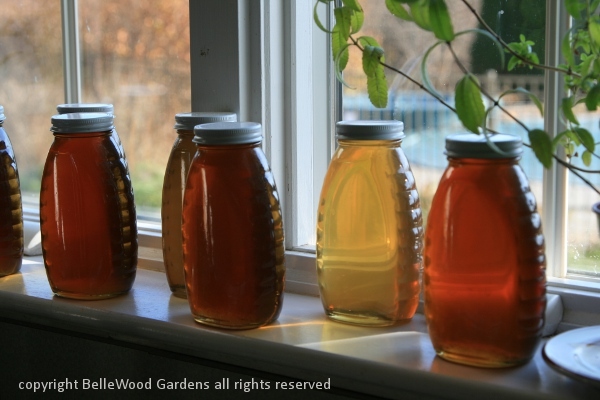 Beautiful honeys, in every shade from pale translucent gold to dark amber. just two of the several varieties available for today's tasting at the tour's conclusion. Beatrice shows me and Paul their processing room, where the combs have their caps removed. 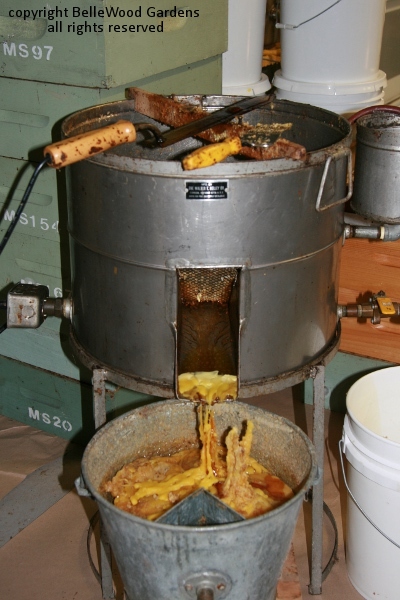 The honey is extracted. Empty combs are heated. 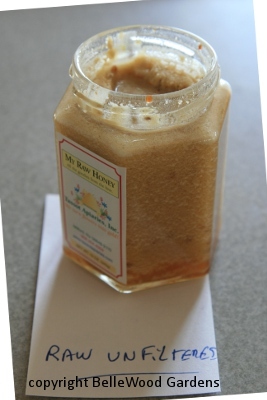 The wax is collected, also any remaining honey. 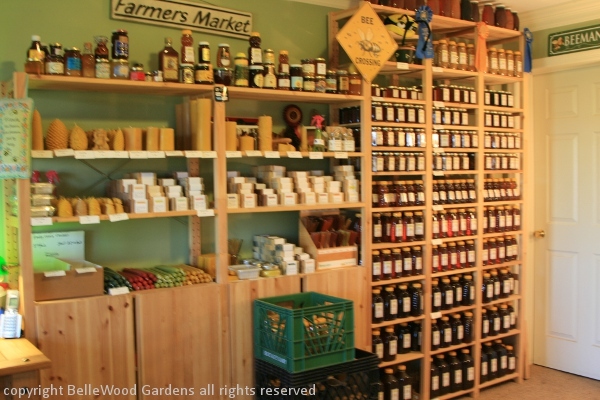 The shop, a front room in their house, has all sorts of honey and beeswax products for sale. 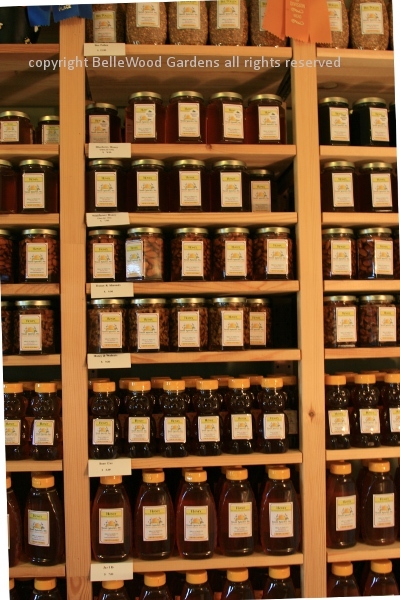 Different kinds of honey in a variety of sizes, in glass or plastic. Walnuts or almonds in honey. Beeswax candles, sweet smelling and slow burning, made on the premises. Turkeys, for Thanksgiving. Traditional pillars. Others that look like pinecones. Pillars and egg shapes with embossed designs. 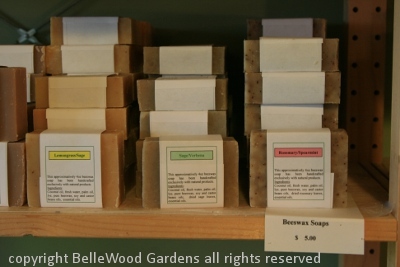 Beeswax soaps in fifteen different fragrances. Lovely for gifts, and for oneself. 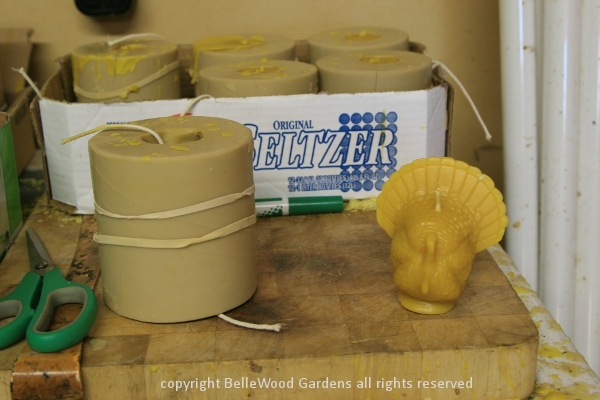 Beatrice makes beeswax furniture polish. Sweet possibilities for you, and for your holiday season.